Brent J. Rhodes was born and raised in Houma, Louisiana. He received a Bachelor of Science from Nicholls State University in 1996 with a double-major in accounting and finance. 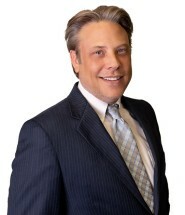 He earned his Juris Doctorate from Louisiana State University law school in May, 2000, and began practicing law in the field of personal injury in October, 2000. He is licensed to practice in Louisiana and Texas, but is able to handle claims for personal injuries anywhere in the world. He is a member of the Louisiana State Bar Association (2000-present), Texas State Bar Association (2007-present), American Bar Association, Louisiana Association of Justice, Terrebonne Parish Chamber of Commerce, and the Terrebonne Parish Bar Association. In 2009, Brent Rhodes was inducted into the Million Dollar Advocates Forum, which is one the most prestigious groups of trial lawyers in the United States. Membership is limited to attorneys who have won million and multi-million dollar verdicts and settlements. There are over 3000 members throughout the country and fewer than 1% of U.S. lawyers are members. Since 2000, Brent Rhodes has represented thousands of individuals who have lost their livelihood from serious personal injuries caused by the fault of others. He has litigated hundreds of trials against insurance companies and corporations in pursuit of compensation for accident victims. Cases he has handled include on-the-job injuries, maritime/offshore injuries, eighteen (18) wheeler accidents, automobile accidents, wrongful death, and other serious personal injuries. For any case in which someone sustains an injury, Brent J. Rhodes is the attorney for you. Brent J. Rhodes presently resides in Houma, Louisiana, with his wife, Heidi, and his three children.